Home › News › Their Racing Pigeons Caught a Bullet Train. Then the Authorities Caught Up. BEIJING — If you ever try to cheat in a pigeon race, just remember this: Bullet trains travel much faster than homing pigeons. Two men who tried to rig a bird race in China — and claim $160,000 in prize money — have learned that lesson the hard way. Both have been convicted of criminal fraud. Their pigeons did not survive. Pigeons have been clocked at speeds in excess of 100 miles per hour for short stretches, and more than 80 miles an hour for hundreds of miles. Their speed and endurance have made it hard for people to cheat, even by smuggling a racing pigeon by car to a finish line. But China has been feverishly building a high-speed rail network, with trains that can travel nearly 200 miles an hour. A Shanghai court announced this week that it had convicted two men of using fraud to win the Shanghai Pigeon Association’s annual Grand Prix. The court sentenced each man to three years in prison, but suspended the sentences so that they have to report to a jail only if convicted in another crime. The rules of the Grand Prix call for pigeons to be raised in a Shanghai pigeon loft until the age of 1. For the race, the yearling birds are released from Shangqiu in Henan Province, which is 462 miles northwest of Shanghai by road, or 405 miles as the pigeon flies. The essence of the plan involved training the pigeons to believe they had two homes. The birds had been secretly raised not just in Shanghai but also in Shangqiu. When the race was held in the spring of last year, the Shanghai Pigeon Association took all the entrants from Shanghai to Shangqiu and released them. Most of the pigeons started flying back to Shanghai. But the four specially raised pigeons flew instead to their second home in Shangqiu. According to the court, the two men caught the birds there and then carried them on a bullet train back to Shanghai, concealed in milk cartons. (China prohibits live animals on bullet trains.) When the men arrived in Shanghai, they released the pigeons, which quickly fluttered to their Shanghai loft, seemingly winning the race. But then the trouble started. 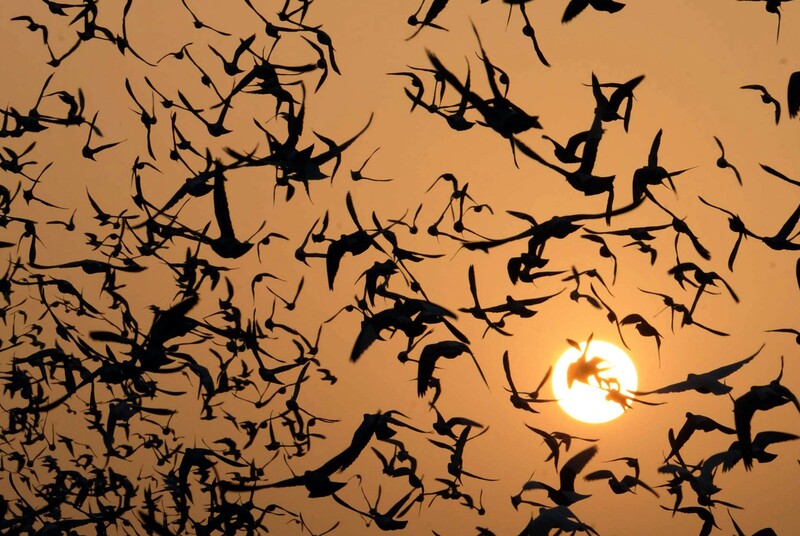 The men had released the birds too soon, shattering records for the race. Driving from Shangqiu to Shanghai takes nearly eight hours, and racing pigeons usually take almost as long. But the bullet train takes as little as 3 hours 18 minutes. Other pigeon racers, of course, cried foul. Shi Bin, a lawyer at Shanghai Runshen law firm who represented both men, said that the court had shown lenience in suspending the sentences because his clients had turned themselves in and confessed as soon as other pigeon racers challenged the result, and before the police opened a formal investigation. According to the Shanghai court, the two men destroyed the evidence, killing the birds to prevent them from becoming stool pigeons. But then they did make one good decision: They decided not to collect the prize money for the top finishers in the race. If they had accepted the money, the court said, the fraud would have qualified as a much more serious crime, and both men would have been liable to spend more than a decade in jail.